Whenever I sit down in front of the computer to write about what I’ve been up to my mind rather surprisingly goes blank! Anyway I am still volunteering at the book store and it is quite handy if I want to read any books – the whole not having to pay is quite a good incentive. I do still get rather annoyed with customers (can they be called that if they are not paying) who just appear to want to take advantage. The big problem at the moment is people who think it is okay to just take three books and walk out the shop, or take three books and come back an hour later for more. I finally went to see The Woman In Black the other night and not sure what I made of Daniel Radcliffe’s performance, I did think it maybe because I kept thinking of Harry Potter but no think it was to do with the fact that I thought Daniel Radcliffe was too young for the part of Arthur Kipps. It did have some scary scenes but not really spine chilling – I did have a look for the book today but would you believe it could not find a copy. I would also go and see the stage play again as that had followed the book by Susan Hill and I seem to remember it being a lot creepier. Talking of the theatre I went to see an adaptation of the Charles Dickens short story “The Black Veil” at the Grand in Swansea. I will be the first to admit I was expecting some sort of ghost story and what I experienced was something so different, it is one of the first times I have ever heard an audience whine and moan about a play in such a negative way. Admittedly the first half was just a lot of talking and setting the scene (a lot of it seems to be random) and I think the audience did deserve the interval to gorge itself on ice cream and sweets before settling in to the second half while was a lot better. However I think as a stage adaptation it was lacking which was a shame as the three cast members did a wonderful job. 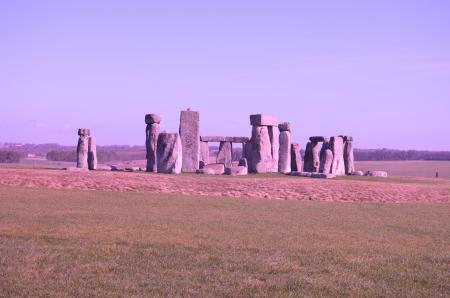 Had also been forced to take some time off work so instead of wasting time in front of a computer I took a trip to Wiltshire to do some research for my family tree – this is something that I have been wanting to do for some time now so it was great to be able to get the opportunity to do so. I did spend a few days at the Wiltshire & Swindon History Centre looking through records for baptisms, marriages and burials and have the task of going through all that raw data now. I also managed to get to Warminster and took a look around a few of the graveyards and the areas that I know the Whatley families of Warmister would have lived in so anyone coming across this entry after doing a search for “Whatley’s of Warminster” please get in touch!! While down in Wiltshire I stopped off at Stonehenge and it was one of the first opportunities I’ve had to use my new camera – with some mixed results as the sun was behind the monument at first. This was taken with a FLD filter on, think it gives the image a very 70’s look or at least I think it does. Well not sure when my next entry will be as going to London at the end of the month to a Charles Dickens exhibition/museum. This entry was posted on Saturday, March 17th, 2012 at 7:30 pm	and is filed under General, Reviews. You can follow any responses to this entry through the RSS 2.0 feed. You can leave a response, or trackback from your own site.